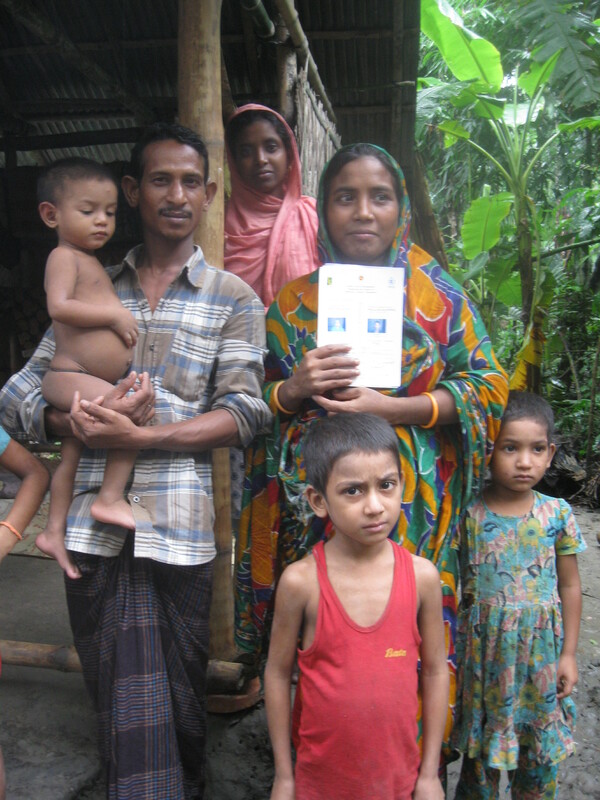 A study participant in Bangladesh holding her beneficiary card, surrounded by her family. Photo: Shalini Roy, IFPRI. Intimate partner violence (IPV) is the most pervasive form of violence globally—with 1 in 3 women physically or sexually abused by a partner in her lifetime. IPV has multiple malign consequences for the physical and mental health of women, as well as a range of adverse effects on their children. While these consequences are well documented, there is less evidence on the effectiveness of policies and programs in reducing IPV in the developing world. Drawing mainly from Latin America, several recent studies find evidence that cash transfer programs, targeted primarily to women, can reduce IPV. Given that cash transfer programs are widespread around the world – implemented in over 130 countries and reaching approximately 718 million people globally – they represent a promising, scalable, globally-relevant approach to reducing IPV. However important questions remain as to the generalizability of existing findings. We conclude with lessons learned from these case studies that can inform future policy aimed at using transfers to reduce IPV. Can cash transfers prevent intimate partner violence? Melissa Hidrobo is a Research Fellow in the Poverty Health and Nutrition Division of the International Food Policy Research Institute (IFPRI). She is an applied microeconomist working at the intersection of gender, early childhood development, agriculture, and social protection. Her gender research focuses on how social protection programs affect intrahousehold dynamics, and how intrahousehold dynamics affect agriculture production. She has investigated the impacts of cash transfers programs and food assistance programs through her work with the Bono de Desarrollo Humano Program and the World Food Program in Ecuador, and the Jigisemejiri program in Mali. Her current works involves impact evaluations of nutrition-sensitive agricultural and social protection programs in Mali, Ghana, and Senegal. Melissa holds a Ph.D. in Agricultural and Resource Economics from the University of California, Berkeley. Shalini Roy is a Research Fellow in the Poverty, Health, and Nutrition Division of the International Food Policy Research Institute (IFPRI). Her research focuses on households’ economic behavior related to social protection, nutrition, agriculture, gender, and early childhood development. Much of her work is based on impact evaluations of development programming in these areas, with a particular interest in how programs both affect and are affected by intrahousehold dynamics. Her work spans South Asia (with a regional focus in Bangladesh), Africa, and Latin America.